The OzVMX Forum and Facebook Group page is all about enjoying the fun of old dirt bikes and preserving the history of this great sport we all share. 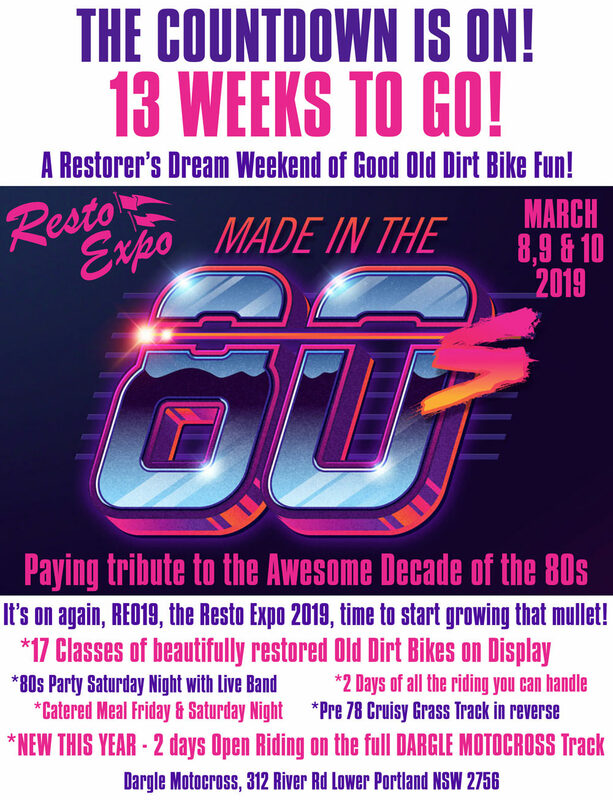 The annual OzVMX Resto Expo is an opportunity for all of us to get together in a relaxed and naturally beautiful environment at an Australian Iconic location and enjoy the sport in the way we choose. If you want to have a relaxed ride without the intensity of racing, there will be 2 tracks to ride on including the cruisy grass track and for RE3 a tamed down variation of the Famous Dargle Motocross track. If you just want to camp on the riverbank and bench race with your mates the location is perfect for that as well. Live music both nights and plenty of great food on sale. This time in 3 Months we'll be settling down around a campfire at RE019. 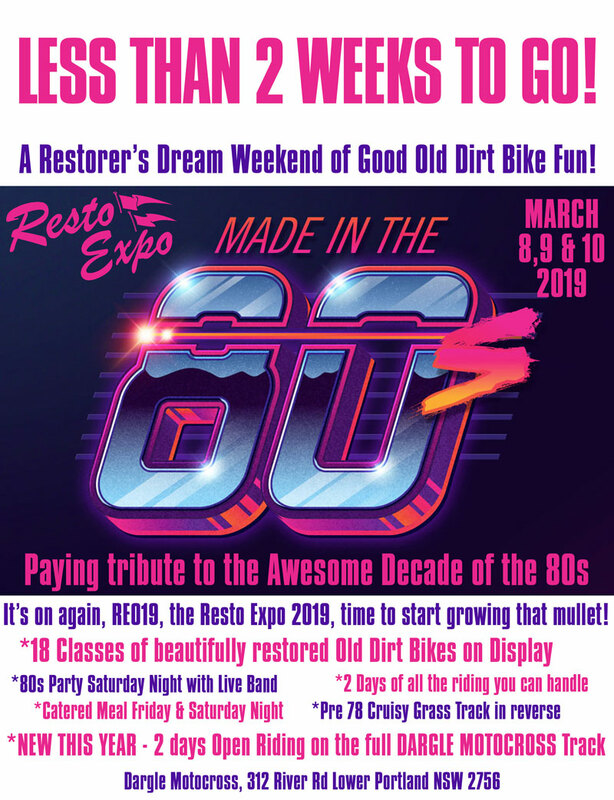 Are you on track to have those bikes ready? More importantly, how's your 80s fancy dress costume going for Saturday night's party? Well this is it! 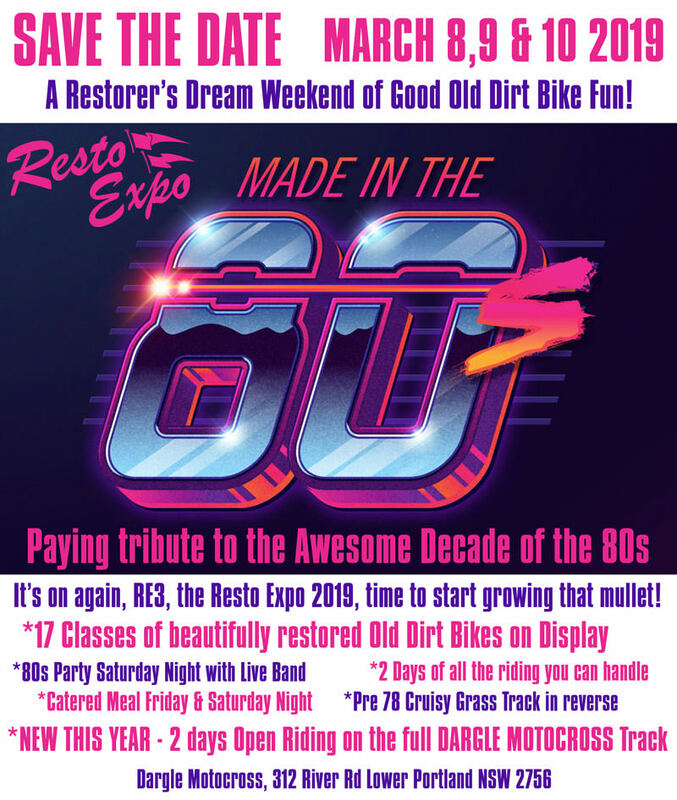 The OzVMX Resto Expo is on in less than 2 weeks. Hanging out with your mates or family and having good old fashioned dirt bike fun! Iv got room for cheap bike transport Melb to Dargle and return trip. I also have a seat in the car and room for their bike if anyone needs a ride. What is the cost for entry I cant, seem to find it. What an awesome weekend ahead at the Dargle Track. Well done to the team that has got his off the ground..
Long live old bikes with friendly ride venues.